A cultural non-profit located in historic Bath and mid-coast Maine’s regional performing and visual arts center. The Chocolate Church Arts Center is mid coast Maine’s regional performing and visual arts center. For more than 30 years the Chocolate Church Arts Center has been offering a rich program of live music, gallery exhibitions, theatre for young artists, lectures and workshops. How did Central Church become the Performing Arts Center of Bath? The fate of the Central Church was uncertain and in jeopardy of being destroyed. Recognizing its architectural significance and in the spirit of embracing the community’s history of cultural arts exemplified through the Bath Opera House of 1913 and other historical theatres, a collection of well-intended artists and entrepreneurs seized an opportunity. In the late sixties, a young New York theatrical designer named Jack Doepp took an interest in the vacant 1847-built facility on Washington Street in Bath. Sagadahoc Preservation, Inc., a non-profit that saved the former Congregational Church from urban renewal destruction, owned the venerable old building. Jack bought the old building and soon formed the Performing Arts Center of Bath (PACB). With an all-volunteer staff, PACB began presenting concerts and plays for mid-coast audiences. No one would refer to this new venture as PACB. The name did not stick. Therefore, the Chocolate Church Arts Center (CCAC) was incorporated and received 501(3)(c) status in 1977. Over the ensuing 40 years the CCAC has presented graphic, visual, and performing arts to midcoast Maine while preserving and protecting its historic home. A sense of community has been central to the Chocolate Church since it opened its doors in 1977 and community involvement is what keeps the doors open today. All are welcome and everyone will be entertained. 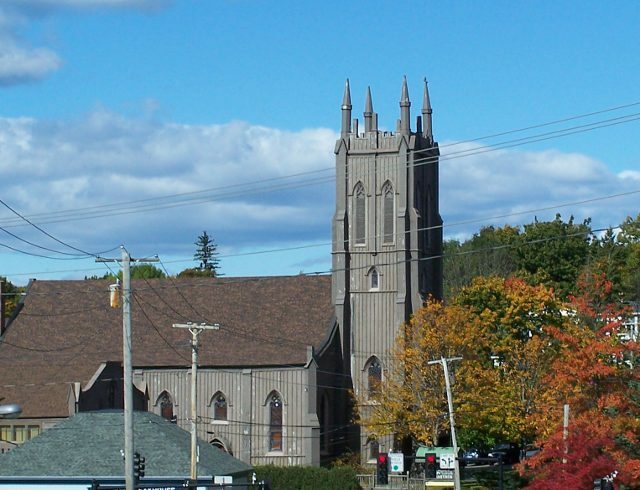 The Chocolate Church Arts Center (CCAC) was incorporated and received 501(3)(c) status in 1977, and has over the ensuing 37 years exercised its dual mission of presenting graphic, visual, and performing arts to midcoast Maine while preserving and protecting its home, the former Congregational Church built in 1847. Built on the premise that every community should have a place to revel in the arts, this magnificent building has become an annual home to musicians, actors, community arts productions and visual artists. Your membership is imperative to keep this valuable community resource alive for residents and visitors. In addition, as a member you can receive valuable benefits…come to concerts at a discount, attend special member-only gallery openings…the list goes on.